The 5’10” Johns (ninth-ranked mascot per 247Sports Composite) is an excellent foot stomper and can reel off a hundred push-ups without breaking a sweat, two vital elements when one dawns The Duck suit. 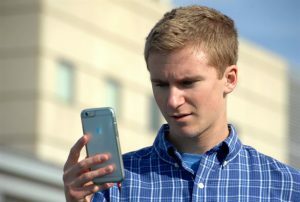 Duck Time: Kenny Johns texting Coach Taggart that he will become a Duck. The late commitment of Johns goes down as a major recruiting coup for Oregon — one that rivals the Ducks “stealing” away De’Anthony Thomas from USC in 2011. Johns, a life-long Florida State fan, had given every indication that he would become a Seminole. 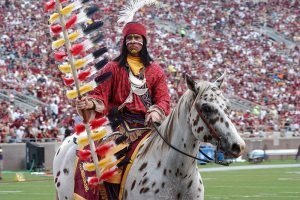 “I had always dreamed of being Chief Osceola gloriously riding out onto the field atop Renegade (the Seminole horse), leading the team onto the field, and sticking that spear into the ground,” said Johns. 5-Star: ninth ranked prep mascot Kenny Johns as the Kennedy H.S. 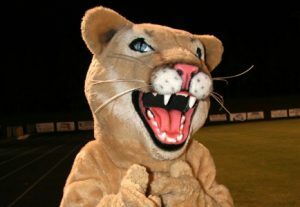 Cougar out of Gainesville, Fl. When Taggart caught wind of Johns’ possible decommitment from the Seminoles, he immediately dispatched Oregon’s top mascot recruiter and NFL hall-of-famer Gary Zimmerman. Zimmerman, who once served as the Harley Davidson (named “FatBoy”) driver as part of Oregon’s long-time pre-game ritual, went to Gainesville to make sure Johns was comfortable riding on a Harley. 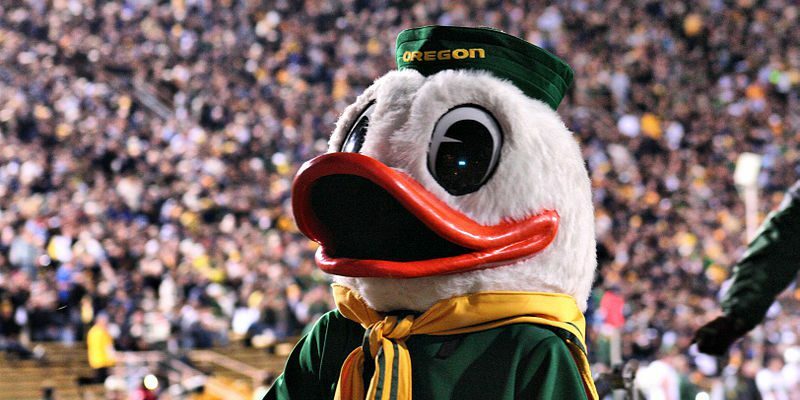 And a year after Oregon’s worst season since 1991, adding a true winner at mascot is exactly what the Ducks need.